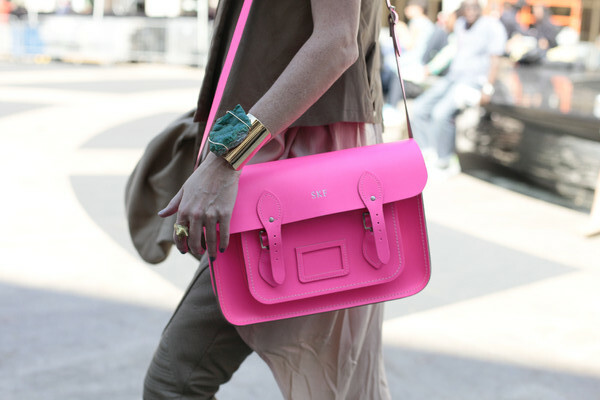 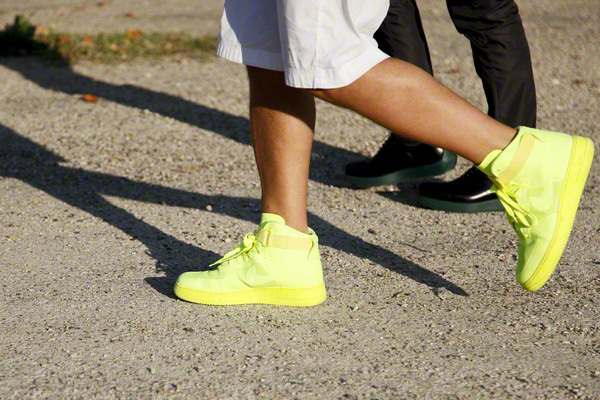 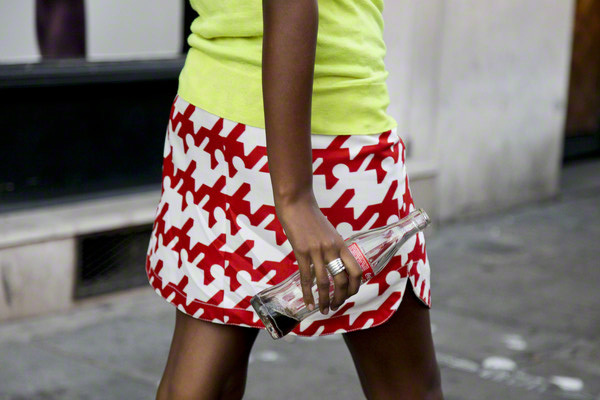 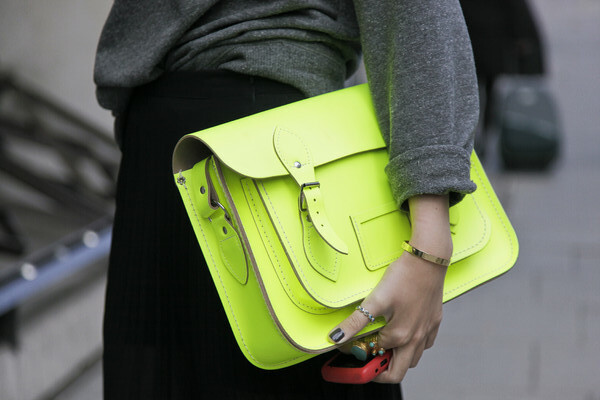 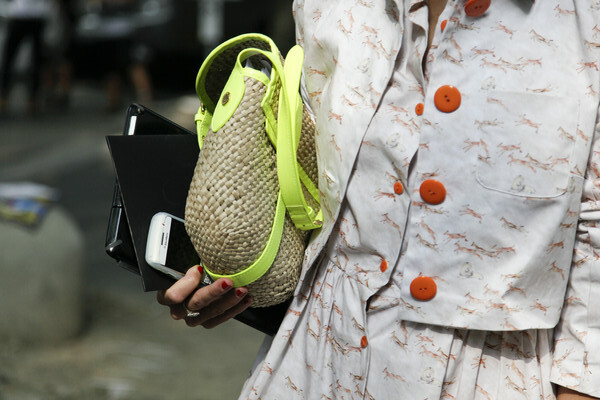 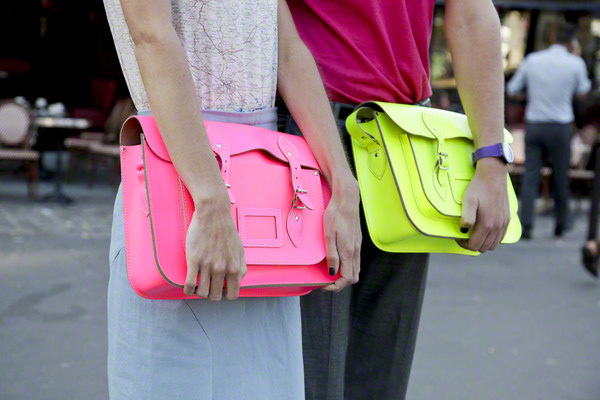 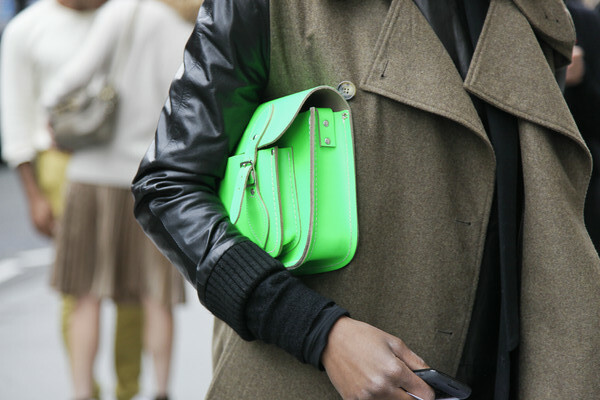 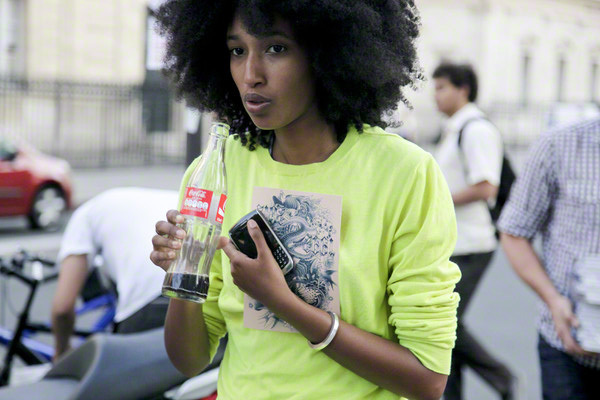 It was one of the biggest streetstyle trends of this season: neoncolored fashion items. 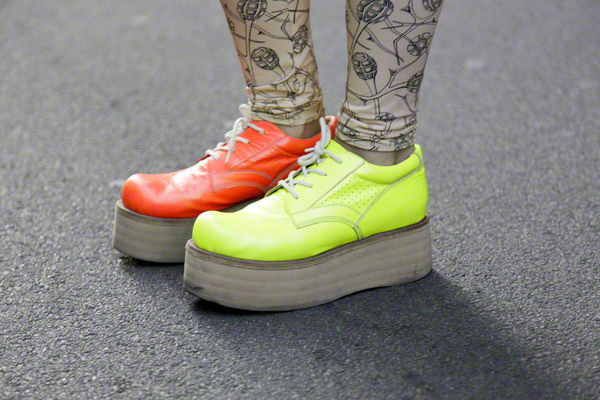 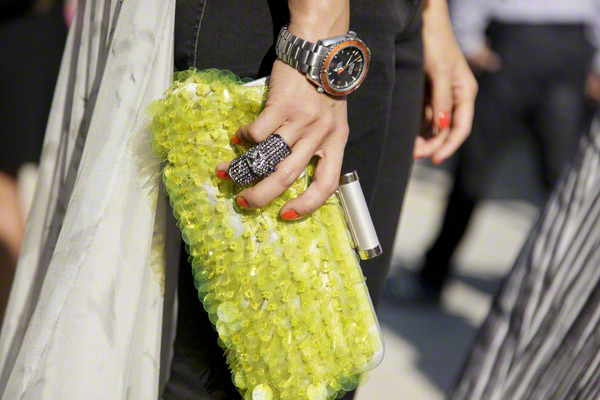 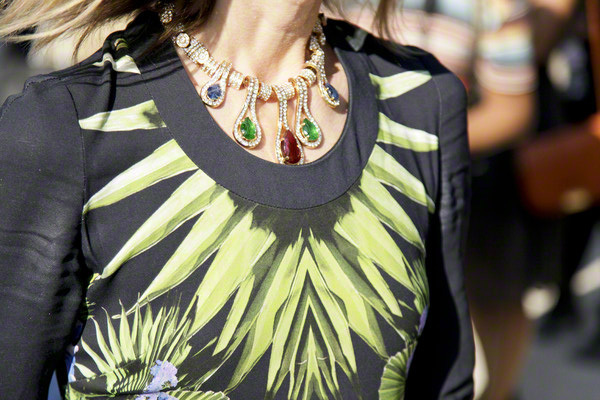 The bright and funky colors popped up at every fashion week. 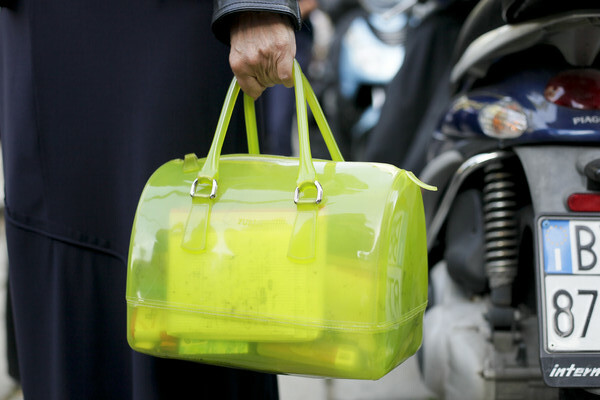 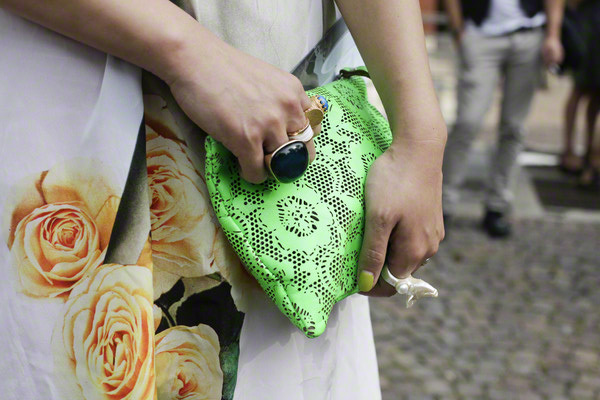 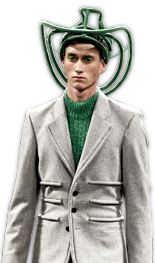 We saw fluorescent lime, eclectic green, bright orange and neon pink everywhere. 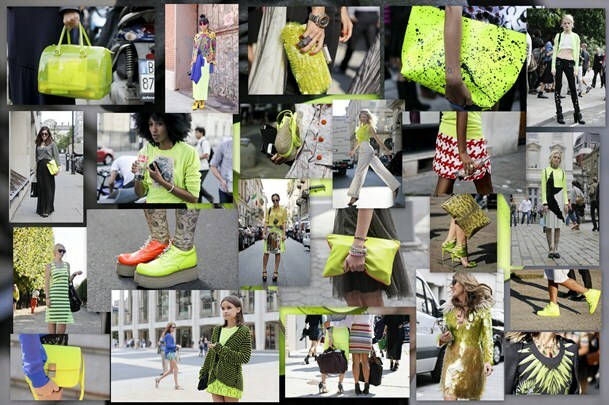 The daredevils wore neon in their actual clothing, others opted for bright accessories like bags (satchel bags, clutches) and shoes. 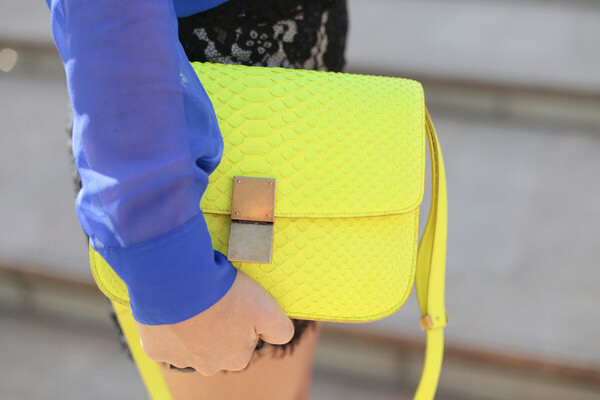 A smart choice, since a touch of neon is the easiest way to pimp your whole look and go from dull to daring. 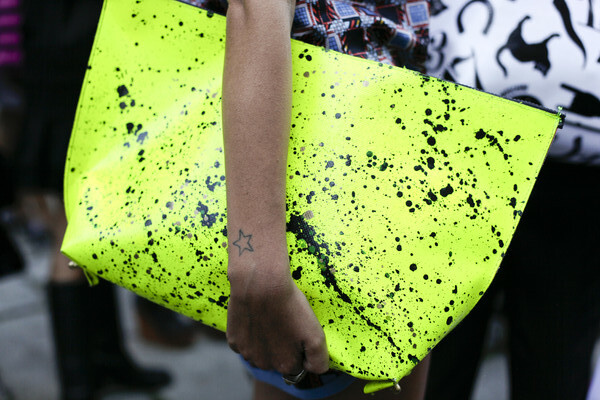 Especially on a sunny day those neon shades make a great fashion statement.